This upcoming weekend a friend and I are decorating for a baby shower. Weather permitting, the shower will be held outdoors in the backyard. Since flowers are the theme, the outdoor area takes care of some decorating elements. The idea is to keep it simple and pretty. My friend is making a tassel banner (cute) and I decided to make a pom-pom banner. 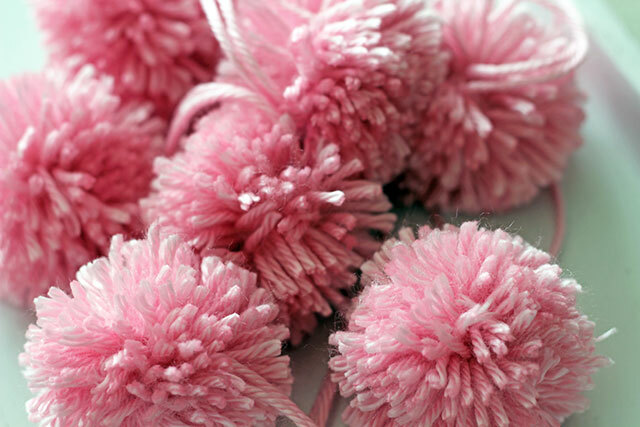 Do you remember making pom-poms when you were younger? They were so fun to make and guess what? They're still fun to make. 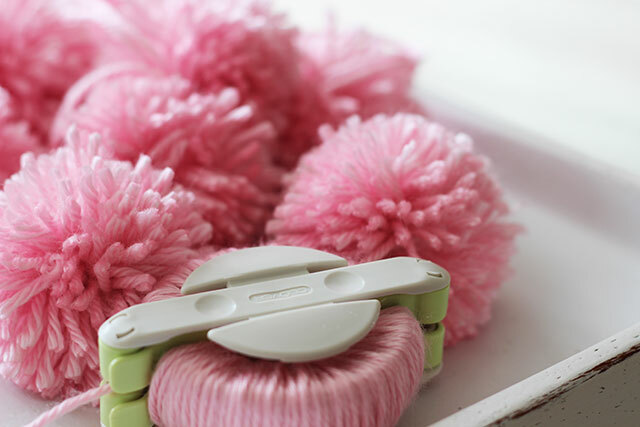 It was my first time using a pom-pom maker so I was a little slow with the first batch made. as a kid we used our hands/ fingers. Overall they turned out well and can't wait to see them hanging up at the shower. note: I bought my pom-pom maker ($6) and yarn ($2.99) at Joann's. I did use a coupon so the cost was even less. LOVE this, Jen! I totally forgot about pom-poms! Such a cute decorating idea! Thanks for sharing! !